In the first meeting of the 2018 Biodynamic Series presented with Demeter USA, Thea Maria Carlson, Executive Director of the Biodynamic Association, will present an overview of biodynamic principles and practices. This workshop is suitable for beginners, biodynamic practitioners, and anyone interested in the study and practice of biodynamic agriculture. 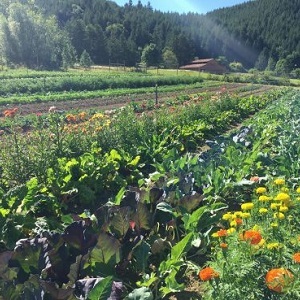 Thea will cover the deep principles and innovative practices of biodynamic agriculture that can enhance the health and vitality of soil and food. She will also cover the unique and practical ways that biodynamics can be applied to grow the most nutrient-dense and vibrant food possible, build soil organic matter, revitalize landscapes, and protect the climate by bringing more carbon into the living realm.